Luna the dragon in her new home. I took a long-awaited trip to London to visit her and we had a really fun weekend. It was filled with calisthenics, old chick-flicks, food, and a Captain Morgan's themed night out where we got loads of freebies. Tanya was the envy of her whole student flat and Luna got lots of love and cuddles; she's practically a house pet. Confession time: I thought it'd be really easy to put Luna together on the train up there but it ended up being quite an involved operation with lots of sewing. So after 4 hours of bumpy public transport her tail wasn't finished and she had no eyes! Tanya didn't mind me finishing her off though and was fascinated by the whole process. I'm really proud of Luna and a little sad to give her away. The pattern can be found here on Ravelry. It's in Spanish but is easy to follow with Google translate. 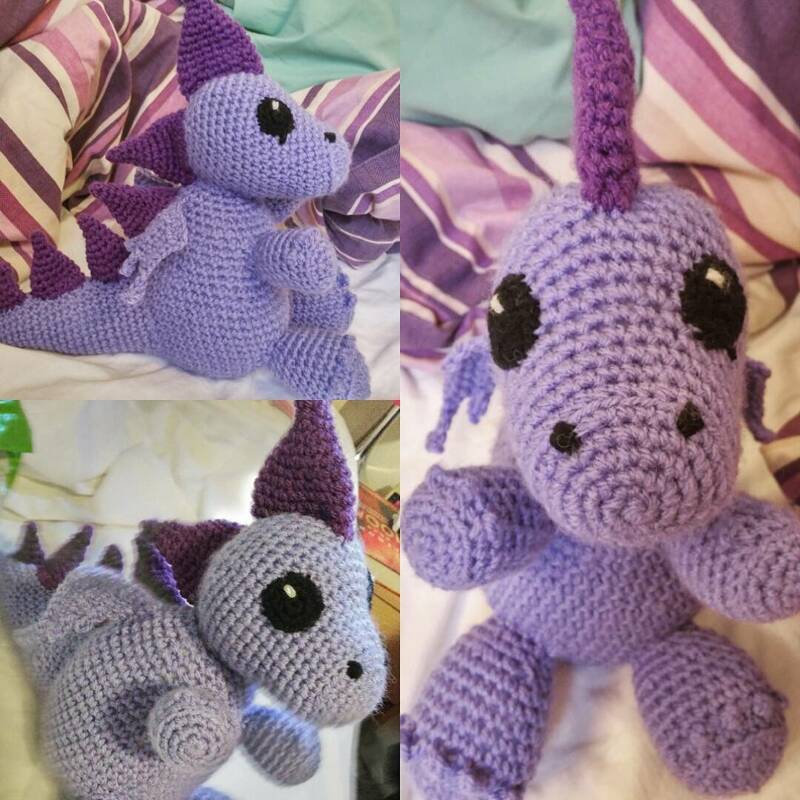 For more dragon-ness I added some small wings from the crochet cthulhu pattern here where they have a nice photo tutorial. This is the second time I've finished my crochet at the last minute, but I'll try not to make a habit of it. Also, just look at Luna's eyes, she's so cute!